See which machines are available or in use. Request and receive an email or text alert notification when your laundry is done or you need machines. Click on the LetMeKnow button and enter your email address or text address in the proper place (if you do not know your cell provider’s unique text address go to the FAQ’s section to read what to do) and the number of the machine you are using and when your laundry is done, you will receive an email or text alert. Send a service request email or bring up your laundry services provider’s service request web page to submit a request or report a laundry room problem depending on how the provider receives service requests. If you do not want to see all the laundry rooms on the All Laundry Rooms (snapshot) page, you can use the Hide Unchecked Rooms feature and even when you close and re-open your browser, those rooms will remain hidden until you restore them. Visit the FAQ’s section of the site for answers to other questions. All you need to do is go to www.laundryalert.com and enter the following sign-in code “aggies”. You can then “look” at your laundry room and bookmark that page to bypass the Laundry Alert sign-in page on your first visit. As you will see, the web pages will show you which machines are available and in use and approximately how much time is left on the machines in use. (Keep in mind that the web page Clock is approximate and actual primary machine cycle time may exceed the Clock due to washer super cycle, dryer top-off, or other variables). The web page Clock has multiple extra time loops so if the machine (washer or dryer) is still on when the Clock has counted down, the Clock will reset for a short duration to indicate the machine is still in use and indicate the remaining approximate extra time before the machine is done. You will also be able to view the same information using the LaundryAlert app. 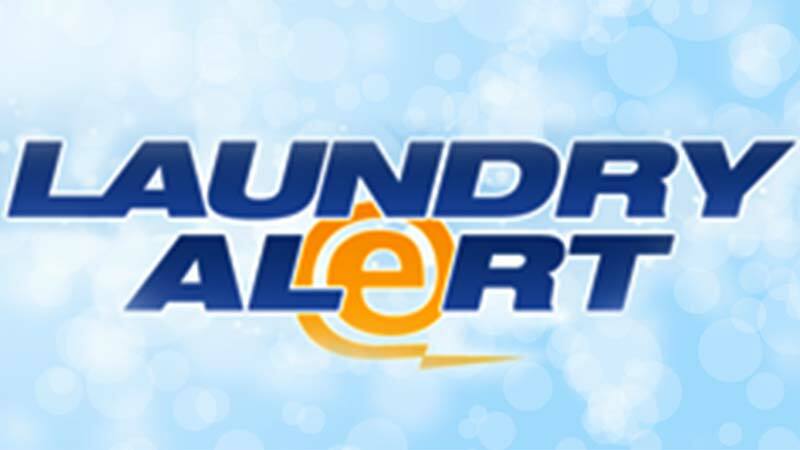 Go to the Apple iphone app store or Google Play to download or use the LaundryAlert browser version (see the app sign in laundry room) if you are not using an iphone or android phone.